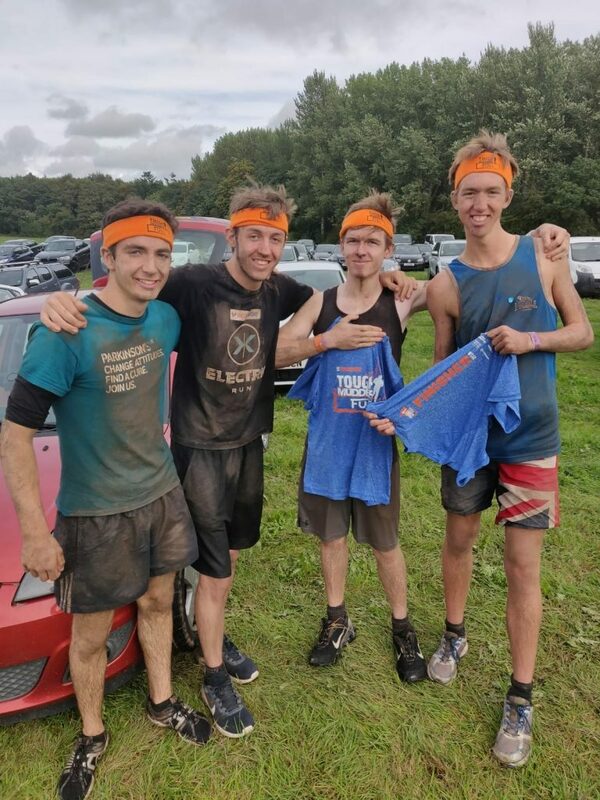 Ben and his friends recently completed a Tough Mudder event to raise funds to support their favourite charities. Ben said:” After watching my step dad, Carl, complete Tough Mudder for Get A-Head, I have been itching to do it myself. I waited patiently until I was 18 so that I could enter with some friends. I managed to convince my close friends Alex, Isaac and David to join me. We wanted to raise money for charity, but we all had different charities that were close to our hearts, so we decided to select 3 charities and split the money raised between the 3. I chose Get A-Head as my mum has suffered from Adenoid Cystic Carcinoma (ACC) and Get A-Head are funding research to find a cure. “We travelled up to the event near Cheshire the night before we were competing and camped in a remote campsite. We woke early and were very excited to get our numbers for the event and join in with the warm ups. The event itself was as much fun as I had imagined. My friends and I worked as a team, with no cross words, well maybe a few, but we loved the experience. The mud hills were great fun and we spent time at the top of one of the last obstacles (Everest) helping loads of people over. I’m not going to lie Artic Enema is an experience that I wouldn’t be rushing to have again, but most of the obstacles were challenging but great fun.